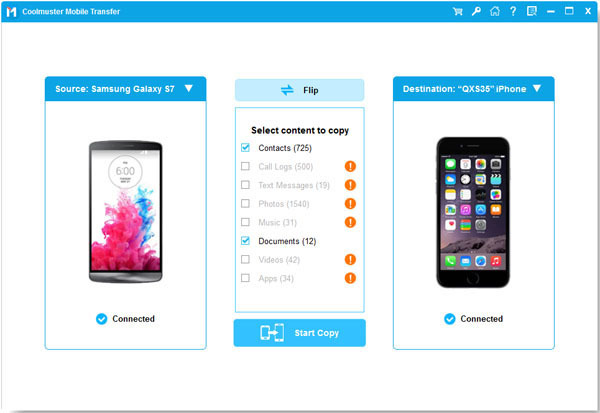 Coolmuster Mobile Transfer 1.1.145 was available as a giveaway on August 25, 2018! Have no idea about how to copy data from an old phone to a new one since they are coming from different manufacturers? 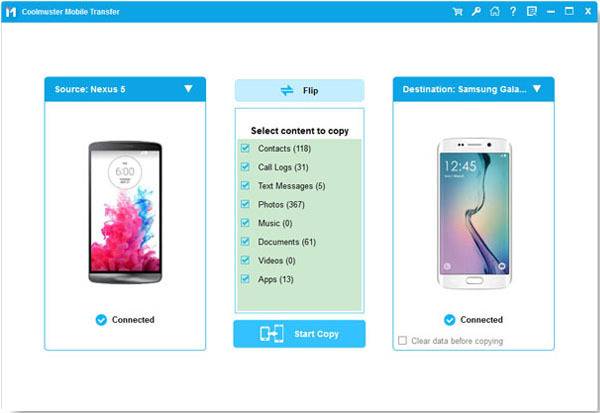 Mobile Transfer is an outstanding tool to help you move data from one device to another without damage. How would you improve Coolmuster Mobile Transfer 1.1.145? 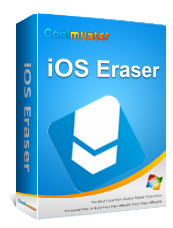 To guard against theft your data on your old iPad, iPhone and iPod when you sell, donate or trade your device, Coolmuster meticulously releases the iOS Eraser that wipes all private information, system settings, deleted files and more from the device with zero possibility of recovery. Mistakenly deleted something important? Lost whole content after factory resetting? Now, it is time to have a habit of backing up your Android data to other security places in the daily life. 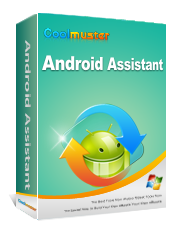 As one-stop Android managing software, Coolmuster Android Assistant is fully capable of dealing with Android media, contacts, SMS, call logs, apps, etc. in one place on your PC! 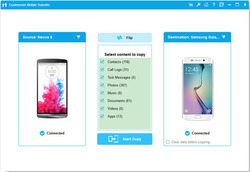 It features with all the functions one may require for the management on Android devices. Want to backup data from iPhone/iPad/iPod to computer? Want to import files from computer to your iOS devices? Want to restore backup to your iDevices? Want to have full control over the data saved on your iDevices? 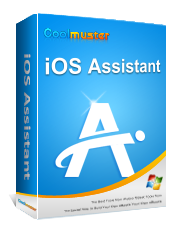 This professional iOS Assistant integrates all these features in one and is surely the best manager for your iOS devices. 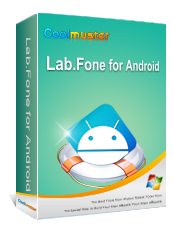 Coolmuster Lab.Fone for Android, the most representative data recovery software for Android, enables you to recover lost or deleted files from Android phone's internal memory card and external SD card. With the help of it, losing valuable data from Android device is no longer a real problem. Data losing is a common situation in nowadays. So how to find back lost data seems to be so important for digital products users. 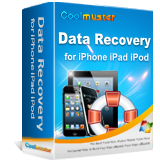 Coolmuster Data Recovery for iPhone iPad iPod comes here to help iOS users to restore lost data from iPad, iPhone and iPod in a few clicks. We are working on fix it ASAP. This is Eileen from Coolmuster. Please accept our sincere apologies for any inconvenience.There is a bug with the key generator url. Could you please use the registration information as below: Licensed email: coolmuster@giveawayoftheday.com License code: 6900E5F9B58878E0A20071a22D7806f92C50C748E6FB54B8377C6D8B We are working on fix it ASAP. Thanks for understanding. Thank you, that works for starting a 1 year subscription to Coolmuster Mobile Transfer, which installed and registered fine on my old Windows 7 64 Pro HP 2260 MHx x2 laptop. [ https :// www . coolmuster . com/what-to-do-if-the-program-does-not-recognize-android-device . html ] . I look forward to synchronizing music and books across my Android and iOS devices ( no Kindle yet, eh ? ).
. [ Coolmuster Team ], Thank you, that works for starting a 1 year subscription to Coolmuster Mobile Transfer, which installed and registered fine on my old Windows 7 64 Pro HP 2260 MHx x2 laptop. 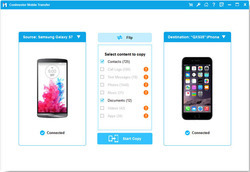 I also note that you offer help / troubleshooting if we can't get two phones or tablets talking through one computer, including USB and wireless connections, see: [ https :// www . coolmuster . com/what-to-do-if-my-idevice-fails-to-connect . html ] and [ https :// www . coolmuster . com/what-to-do-if-the-program-does-not-recognize-android-device . html ] . I look forward to synchronizing music and books across my Android and iOS devices ( no Kindle yet, eh ? ). Thanks. .
Coolmuster Team, I just downloaded and installed and it is a newer version than what is being offered and the email and serial number in the .txt file worked fine. 4.1.12 is the version that installed and yet the version being offered is 1.1.145. Thanks, Eileen, This one worked after trying it the second time. Coolmuster Team, Thanks, Eileen, This one worked after trying it the second time. Coolmuster Team, thank you, but given that many people won't notice this comment, perhaps you could stick a static page w/ this info at https://www.coolmuster.com/regcode/mobile-transfer-1year.php until/unless you get the key generator working? wow thank you so much.it works. Rea Hailley, wow thank you so much.it works. regards. Mr. Angry, use this it worked for me.I too had the same problem what you have mentioned. This program does not recognize my android phone no matter what I do. I have a new phone on order, so was happy to see this giveaway. It turned out to be a waste of quite a bit of valuable time. Installed the program easily from the link provided. Easily registered with the details provided here in comment 17. Connected my iPhone. It failed to recognise it. It gave a list of possible causes of failure, none of which applied to me. Tried a few times then gave up. Incidentally, I was looking to transfer an old android to new one. So I thought this was an opportunity. Connected my Redmi Note 4. It immediately recognised it. Asked me to activate debugging, which I did. Then it asked me to allow "Coolmuster Android Assistant" on my phone. But my phone did not ask me to allow anything. So I tried to install this app on phone myself, and looked for it on play store. But couldn't find it (may be it is not available in UK). So I looked for this app on Google and found it on their website. I downloaded and installed it on phone myself and it looked OK. But guess what, when I clicked this program on pc, the app on the phone magically disappeared. I repeated the whole process, and the app on the phone disappeared again. I gave up. For academic interest, I connected my new Samsung and started this program. It instantly recognised it, asked me to debug it, then installed its app on phone within seconds, which seemed fine. But there was no data on it for me to transfer elsewhere and check this program. Conclusion: I think this program works well with some android phones. Perhaps Redmi doesn't allow this on their phone, which is a hindrance. Whether it really works well, is hard for me to tell because I cannot complete the process. I was not expecting it to be easy, but as a layman, there is nothing more I can do. Installed the program easily from the link provided. Easily registered with the details provided here in comment 17. Connected my iPhone. It failed to recognise it. It gave a list of possible causes of failure, none of which applied to me. Tried a few times then gave up. Incidentally, I was looking to transfer an old android to new one. So I thought this was an opportunity. Connected my Redmi Note 4. It immediately recognised it. Asked me to activate debugging, which I did. Then it asked me to allow "Coolmuster Android Assistant" on my phone. But my phone did not ask me to allow anything. So I tried to install this app on phone myself, and looked for it on play store. But couldn't find it (may be it is not available in UK). So I looked for this app on Google and found it on their website. I downloaded and installed it on phone myself and it looked OK. But guess what, when I clicked this program on pc, the app on the phone magically disappeared. I repeated the whole process, and the app on the phone disappeared again. I gave up. For academic interest, I connected my new Samsung and started this program. It instantly recognised it, asked me to debug it, then installed its app on phone within seconds, which seemed fine. But there was no data on it for me to transfer elsewhere and check this program. Conclusion: I think this program works well with some android phones. Perhaps Redmi doesn't allow this on their phone, which is a hindrance. Whether it really works well, is hard for me to tell because I cannot complete the process. I was not expecting it to be easy, but as a layman, there is nothing more I can do. its embarrassing after you install a giveaway software and the important part of getting registration code isnt working at all.But this did not happen to me anytime previously for years now I have been happily using the great "giveaway of the day" free software service.please help and dont disappoint me any further. 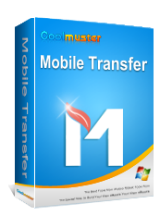 i have installed coolmuster mobile transfer in my windows 7 without any problems .but the link provided to get free registration code isn't working.will you be kind enough to look into this and help me get the code. Step back a moment guys. If you had the time to go through all the rigamorow to complain, then you should realize you don't need a program like this to transfer info back and forth from phone to phone. You already have that capability in your P.C. its called file transfer... Duh. Just hook up the phone you want to get info from and transfer the files to your P.C. then disconnect and hook up the next phone. 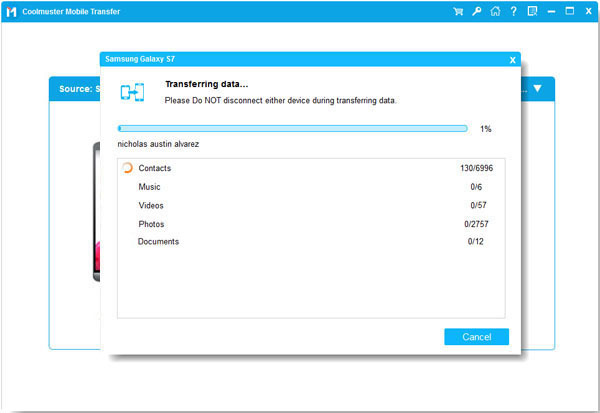 Open up your files and transfer them to the next phone. If it says file exists just click skip and do this for all files. problem solved.. This one looks like a real POS. Does it bring WhatsApp data (including chat and videos) from Android to iOS? Thank You Eileen for the updated information!! I was able to register successfully using your information!! Thank You Eileen for the updated information!! I was able to register successfully using your information!! Much Appreciated!! This comes from Coolmunster itself when you enter your name and email address to apply for the license. From another site, worked for me !!! Click on the key icon at top right. Activates via their web site. But the version offered is a very limited trial. Its basically a read only version. Its not useable. There are many free offerings which do as much as their paid version. Activates via their web site. But the version offered is a very limited trial. Its basically a read only version. Its not useable. There are many free offerings which do as much as their paid version. Uninstalled!